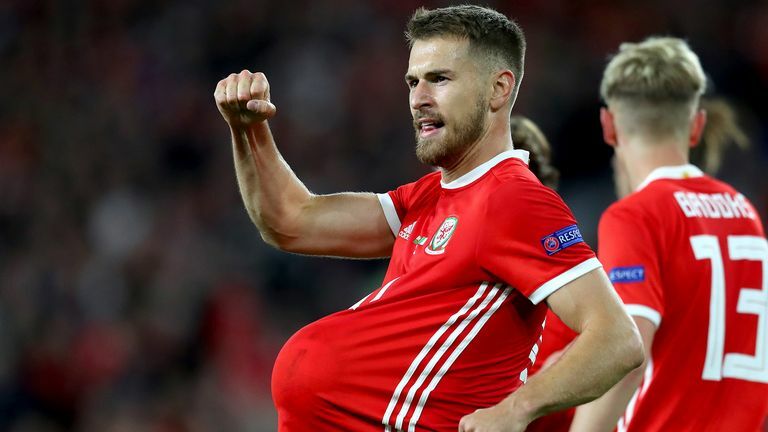 It is rivals day in the UEFA Nations League on Tuesday, as Germany and France plus Republic of Ireland and Wales go head to head. There's a full round of group fixtures as the international break comes to an end, with Sky Sports also showing Belgium's friendly with the Netherlands, Denmark against Austria and Slovakia's trip to Sweden on the red button at 7.45pm. 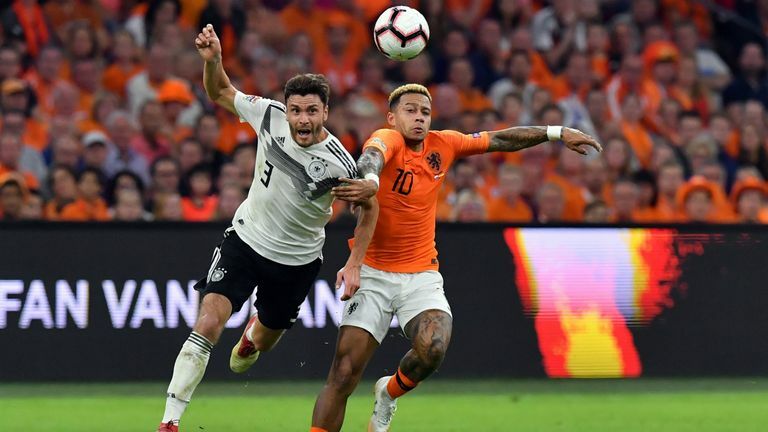 In Group A1, Germany have a humbling 3-0 defeat in the Netherlands to get out of their systems, having won only one of their three games since their World Cup embarrassment - and even that was a narrow win over Peru. They next face World Cup winners France, who came from two goals down to draw with Iceland in a friendly last week and are unbeaten since their triumph in Russia. Les Bleus have been hit by a parting shot from defender Laurent Koscielny as he announced his retirement from international football on Sunday, aiming his frustrations at coach Didier Deschamps for a lack of contact since he was ruled out of the World Cup by injury. Coverage of their game begins on Sky Sports Mix at 7.40pm. Republic of Ireland have revenge in mind when they host Wales at the Aviva Stadium in group B4, after being beaten 4-1 in Cardiff last month. Martin O'Neill's side are unbeaten since that painful evening, drawing 1-1 in Poland before earning a hard-fought 0-0 draw with Denmark on Saturday. Wales' recent results have been less impressive, going down 2-0 in Denmark before a 4-1 humbling by Spain at the Principality Stadium on Thursday. Their match is live on Sky Sports Football from 7pm. Ukraine will be promoted from Group B1 with a draw against Czech Republic in Kharkiv, having won both of their Nations League games so far. Their form has picked up significantly since failing to reach this summer's World Cup, and a draw with Italy in a friendly last Wednesday will have raised their mood further. Their visitors, on the other hand, were battered 5-1 by Russia last month but recovered to beat Slovakia 2-1 on Saturday. Catch them on the red button at 7.45pm. There's a whole group showdown in C3, where promotion or relegation could be settled by the end of the night - but not both. Bulgaria will be promoted if they win in Norway and Cyprus drop points against Slovenia, with both games on the red button at 7.45pm. However, Slovenia will be relegated if they lose their game, so long as Norway pick up something in theirs. There's a similar story for Georgia, who will be promoted to the third tier if they win their Group D1 match in Latvia, live on the red button at 7.45pm. The eastern European nation have enjoyed a clean sweep of wins from their opening three games, while no other side in the group also containing Kazakhstan and Andorra have picked up a single victory, and are all level on two draws apiece. Gibraltar picked up their first competitive win, against Armenia last week - so will it be two from two when they play Liechtenstein on the red button from 7.45pm? Both sides have outside chances of promotion, but will see them ended by defeat in this game, while group leaders Macedonia travel to Armenia on the red button at 5pm, with a victory all-but sealing their qualification.